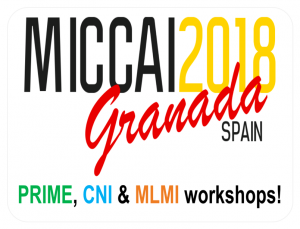 For more information about our accepted papers in the main MICCAI conference and workshops, please click on BASIRA-MICCAI2018. Congratulations to Alaa Bessadok (MSc), Nicolas Georges (MSc), and Minghui Zhu (MSc) for their first peer-reviewed papers accepted at CNI and PRIME MICCAI workshops! Congratulations to Nesrine Bnouni (Ph.D candidate) for her research paper accepted for publication in Machine Learning in Medical Imaging (MLMI) MICCAI workshop! We thank all our research collaborators in the USA, UK, Spain, Germany, and Tunisia.